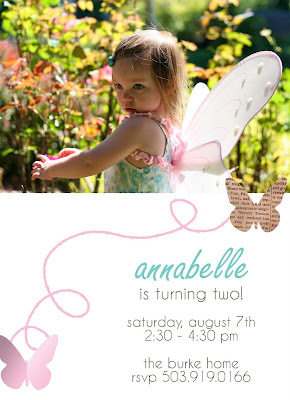 We are working on a butterfly party for sweet little Annabelle who will be turning two. We adore the photo her mom chose! We will also be putting together some custom stickers and garland to match her invite. Here is the final invitation!